Group holidays are a great way of getting away with loved ones and friends. It can also save you money with extra discounts available for larger groups with many airlines and operators. So whether you have a large extended family, are a group of friends or indeed part of a wedding party heading off for a tropical wedding we can help you arrange your group booking with ease. All of our staff are well experienced in arranging holidays for groups and booking with JLM Travel means you will have one dedicated member of our team to help you manage your group holiday booking. 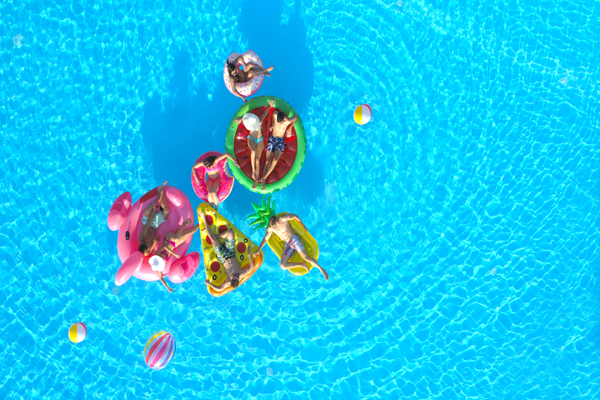 So if you are looking for a cheap group holiday, a short break, a ski holiday, a week or more on the beach in Europe or a tropical break on faraway shores, we can help your party find the perfect holiday deal. We also offer big savings on group holidays. Our top destinations for group bookings are Cuba, Mexico, Turkey, Greece and the Canary Islands. For ski group holidays we can arrange your own chalet or rooms in Club hotels and we offer all the top resorts in Europe and North America. Why not take your stag or hen doo on tour with a trip abroad – from gorgeous sun-baked beaches to buzzing nightlife in the lively resorts or you can enjoy a bit of culture with a city break, whatever you are looking for, our groups team have got them covered and all at the right price. Group Holidays - Stress Free Service! Our aim is to make your group holiday booking experience hassle and stress free, we will handle all the paperwork, we can also arrange extras such as airport lounges and private transfers for your group to really help you start the holiday off in style! If some of your group want to fly from a different airport we can help on this too so that you can all still get together in resort. For the best deals we do recommend booking in advance so you can secure your chosen destination and accommodation. So don't hang around, call us on 0191 391 0160 for a truly personal service on your group holidays booking! © Copyright JLM Travel, 2011 - 2019. All rights reserved.